January 2018: Our paper “Programmable Nucleic Acid Nanoswitches for the Rapid, Single-Step Detection of Antibodies in Bodily Fluids“ is published in JACS. 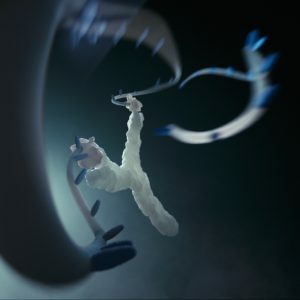 Check out the video that depicts our nanoswitches in action! 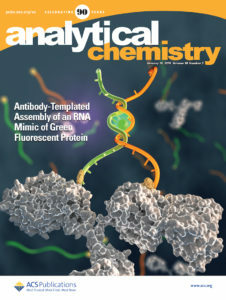 December 2017: Our paper “Antibody-templated assembly of an RNA mimic of Green Fluorescent Protein” is published in Analytical Chemistry and featured in the Front Cover of Analytical Chemistry! 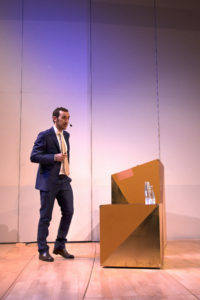 September 2017: Prof. Francesco Ricci is awarded the Inaugural Advances in Measurement Science Lectureship Award. This new award is given by three ACS journals (Analytical Chemistry, ACS Sensors and Journal of Proteome Research) and the ACS Division of Analytical Chemistry to honor members of the community who have made a major recent impact in the field of measurement science. The award ceremony will take place during the next Pittcon 2018 in Orlando, Florida. Here is the press release from ACS. 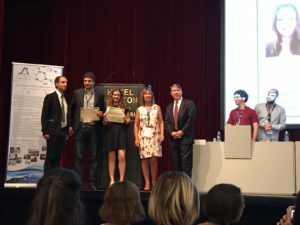 September 2017: Congratulations to Alessia for winning the 2016 Premio Levi Award for her JACS work about pH dependent tile assembly. 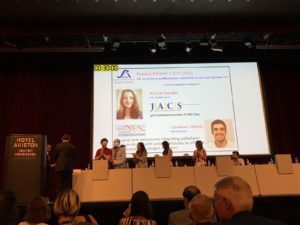 Alessia was awarded during the conference of the Italian Chemistry Society in Paestum. 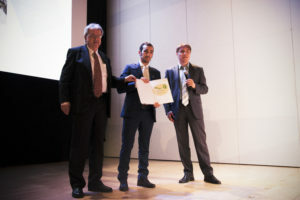 September 2017: Prof. Francesco Ricci is awarded the 2017 Heinrich Emanuel Merck Award for Analytical Science. 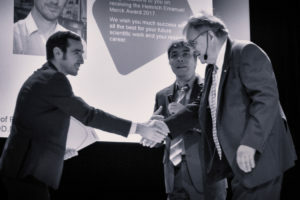 The award ceremony took place in Stockholm during the Euroanalysis conference. Here is the press release from Merck. May 2017: The Nature Communications paper by Simona is featured in the following news media (C&EN, E&T Magazine, The Engineer, GEN, etc.) and in the following Italian media (SkyTg24, Focus, ADNKronos, Galileo, etc.). 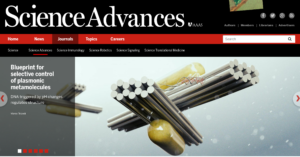 April 2017: The Science Advances paper in collaboration with Laura Liu’s lab is featured in the following news media (AzoNano, ScienceDaily, PhysOrg, etc. ).